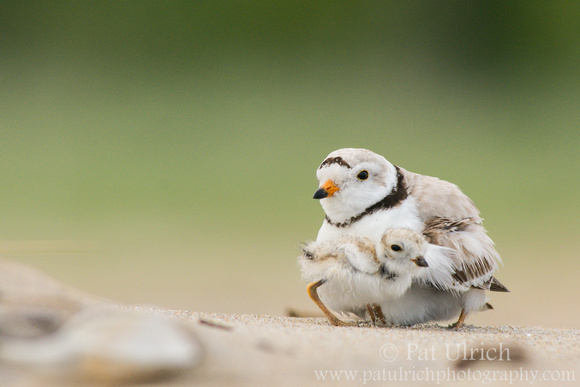 When I was putting together my Favorite Photographs of 2015 post, I had a hard time winnowing down the number of piping plover chicks to include. 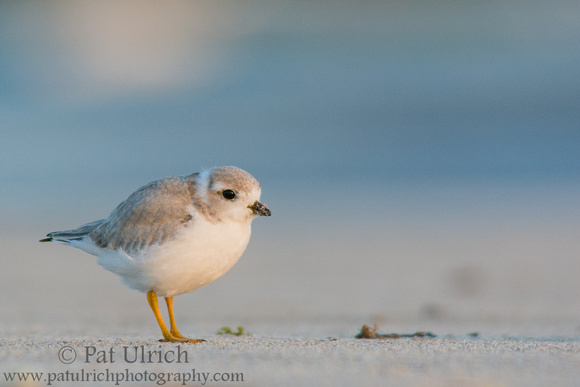 In the end, I still selected plovers for 3 of the 9 photos, which felt a bit heavy-handed, but it was so special to share space with these curious young birds multiple times throughout the summer. 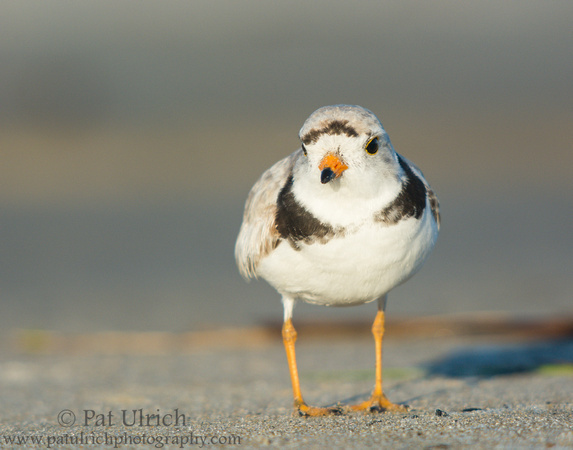 This photo helps to illustrate just how inquisitive they were. 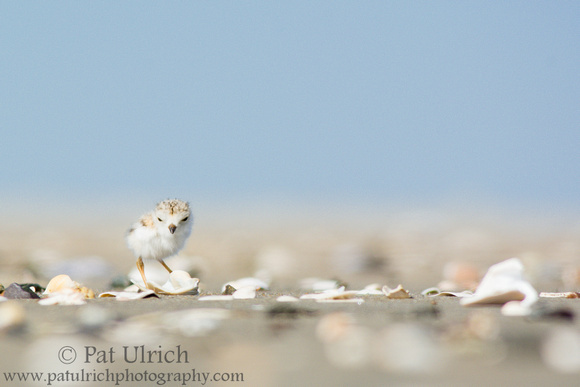 There I was, lying in the sand photographing the chicks as they scurried around the beach, and this one took a real interest in trying to figure out what I was. 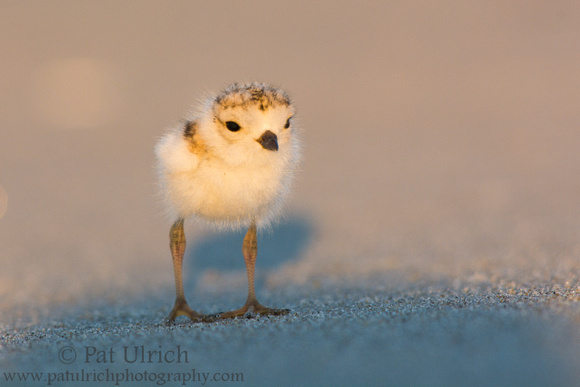 It came close enough to step into the shadow that was cast by the low hanging sunrise and the hat I was wearing. 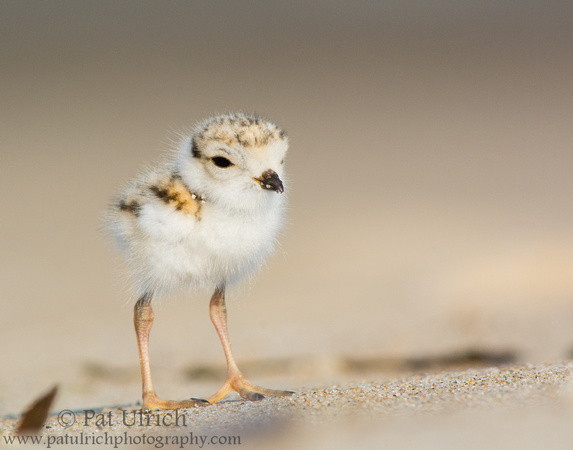 From my experience visiting the beach a few times over the summer, the chicks were very curious about the photographers in the sand -- often coming well within the minimum focusing distance of my lens. 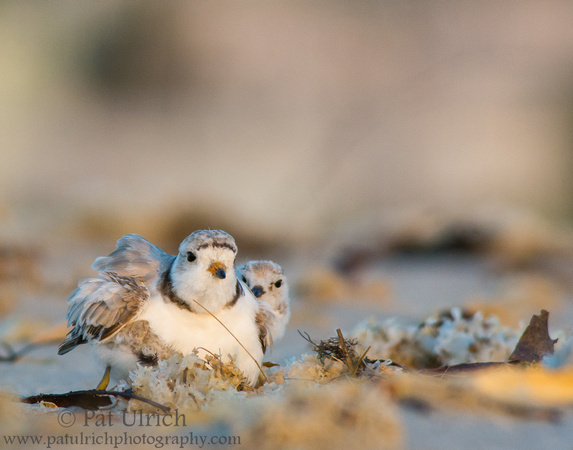 Another interesting tidbit I came across while reading up on piping plovers recently, in addition to what I posted yesterday about plover chicks being entirely responsible for feeding themselves, is related to the role of the parents. 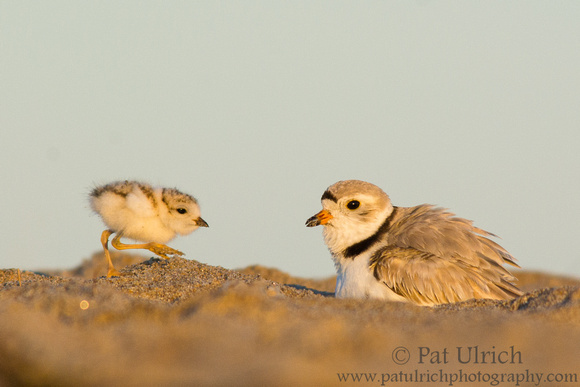 While both the male and female share responsibility for incubating the nest, it is relatively common for the female to abandon the brood within a week of the chicks hatching. 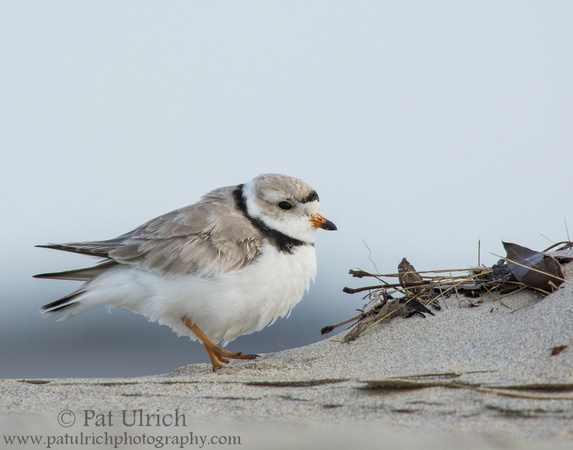 That leaves the male in charge of protecting the chicks until they fledge a few weeks later. 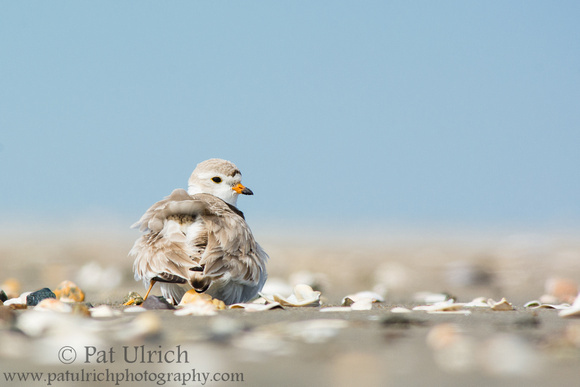 I'm not sure if this is a male or female parent, but there is a very young chick tucked under its left wing. 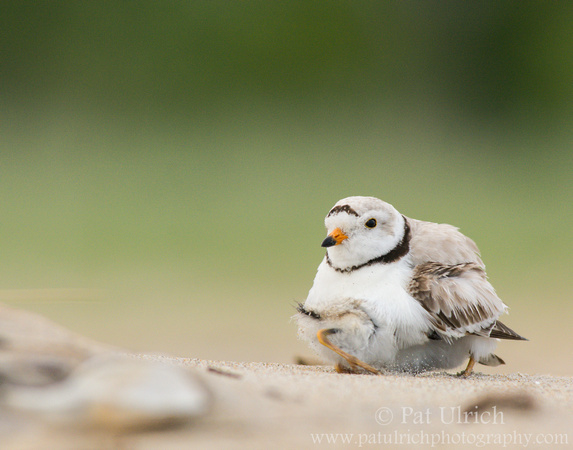 You can see a tiny leg sticking out and the top of its downy head under the popped-up feathers. 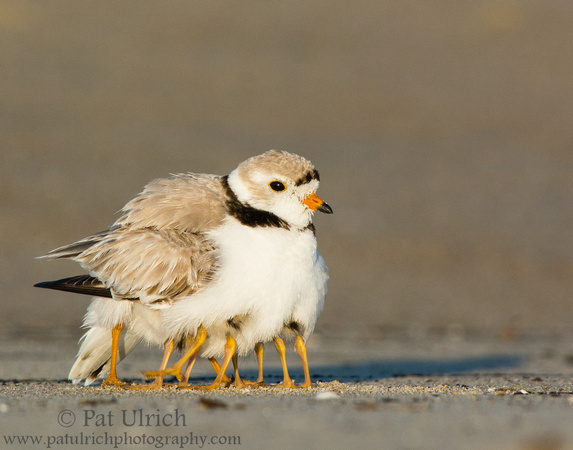 When I was looking up information about how to identify a piping plover fledgling, I came across an interesting fact -- piping plover chicks are entirely responsible for feeding themselves! 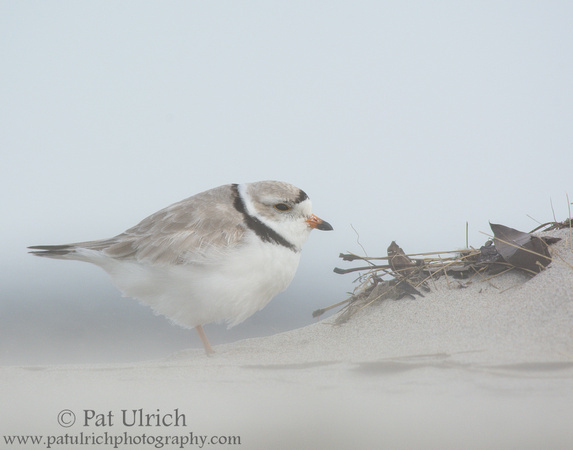 While watching the chicks on the beach at Sandy Point Reservation on multiple occasions this summer, I was interested to observe how much time they seemed to spend catching bugs. 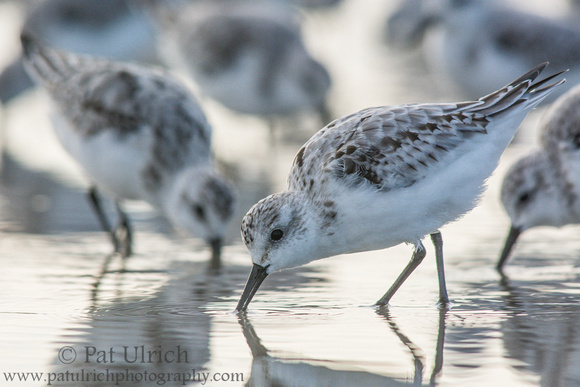 They appeared to be on a constant search for food, which now makes a lot of sense to me. 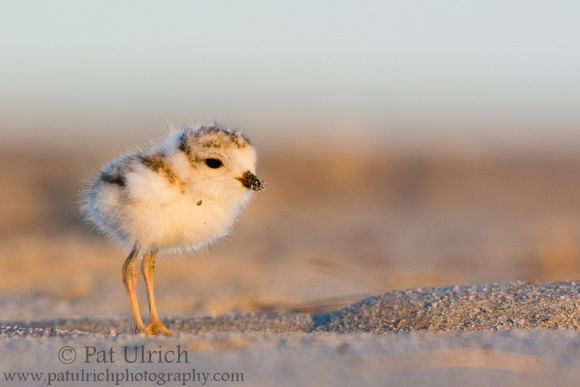 It would also seem to explain why all of the chicks in the same clutch would often run in separate directions after warming up under their parent. 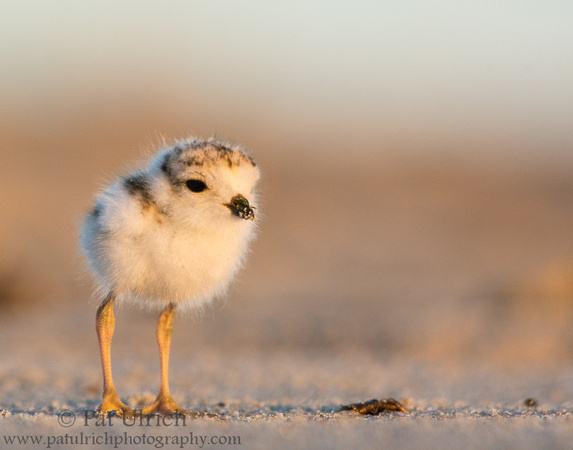 Pretty incredible to think that a few hours after they hatch, these adorable tiny predators are already leaving the nest and looking for prey. 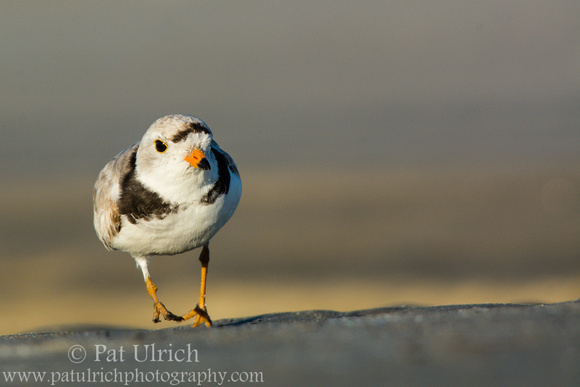 Browse more of my photographs of plovers. 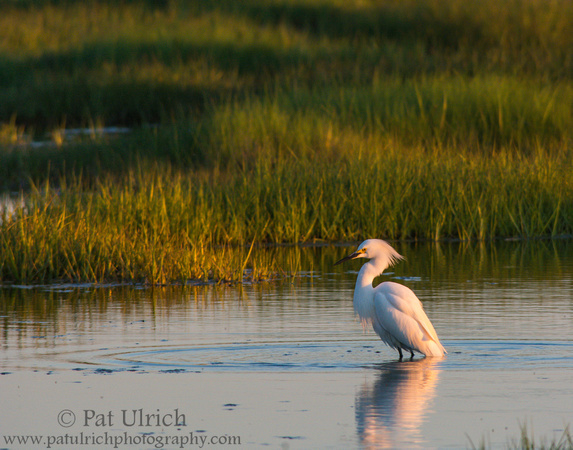 Nothing much to be blue about on this morning (or any morning when you're out to do some photography at sunrise!) 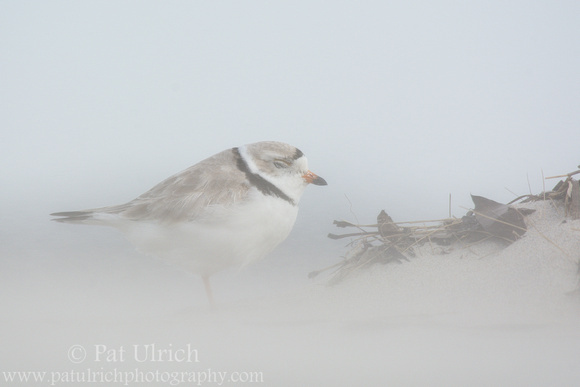 unless you're the morning light reflecting off the water in the background. 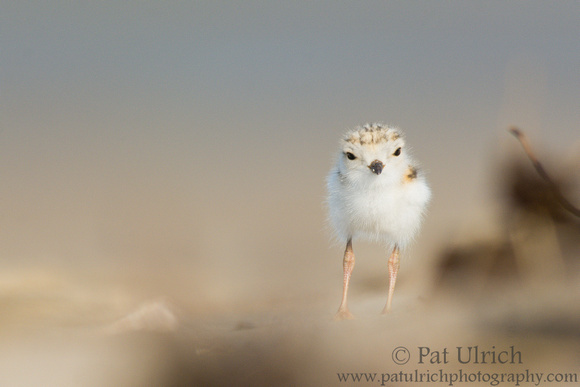 I took this photograph on a mid-July trip to Sandy Point State Reservation on Plum Island, and I suspect that this is a fledgling from one of the piping plover clutches I saw as tiny chicks in early June. 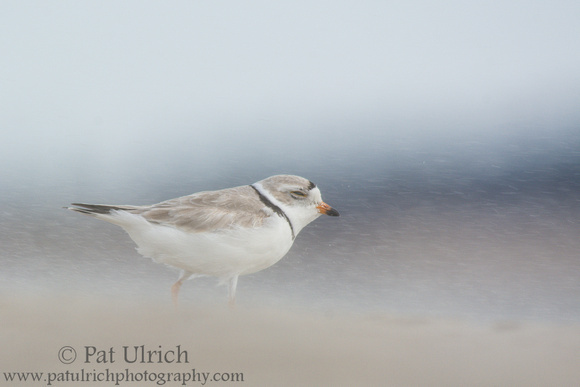 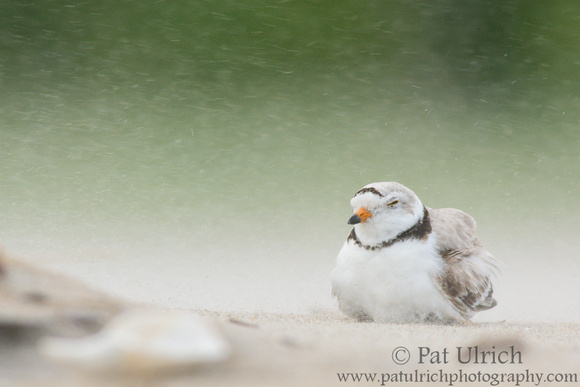 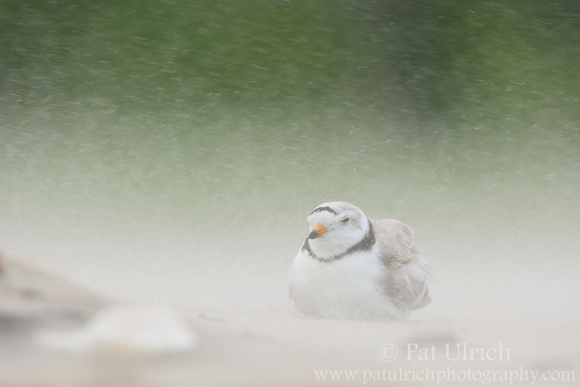 View more of my photographs of piping plovers. 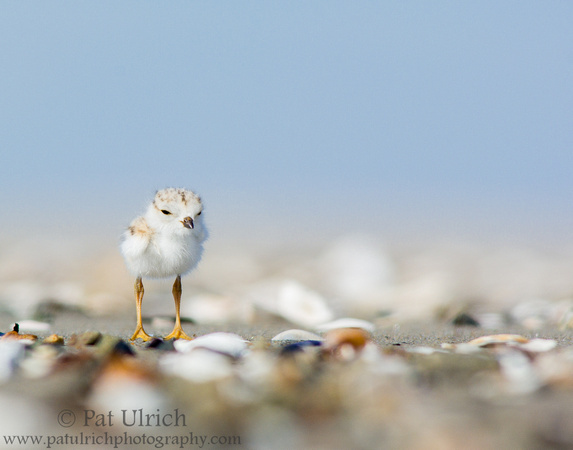 I've been pursuing clean foregrounds and backgrounds on the beach with my shorebird photography lately, but it was really exciting when this tiny chick started walking toward me through the tide-line of shells. 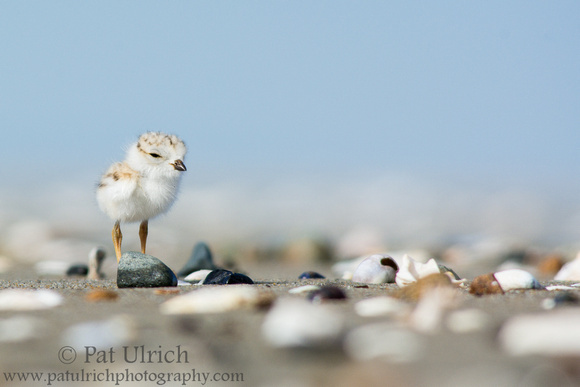 This interesting setting provided some variations in color and pattern to set up the scene and really helped to illustrate just how tiny this young chick was. 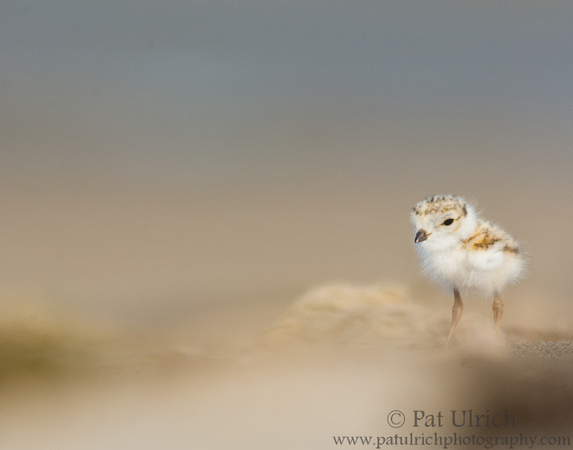 I took a trip out to Sandy Point State Reservation on Plum Island again last week, and the baby plovers are growing up. 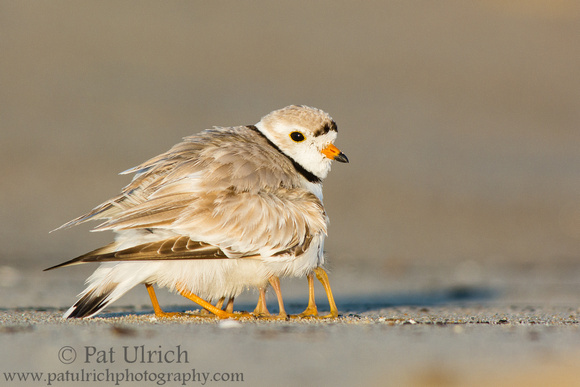 There were two youngsters with this parent in the early morning light, which were significantly larger than when I was there in June, but not yet fledged. 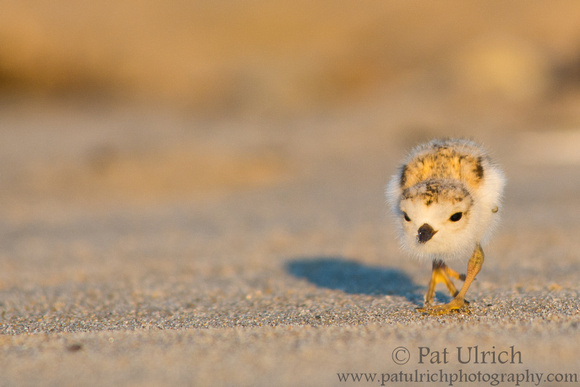 I did see a couple of really young chicks too, as well as an adult plover that appeared to be incubating a nest. 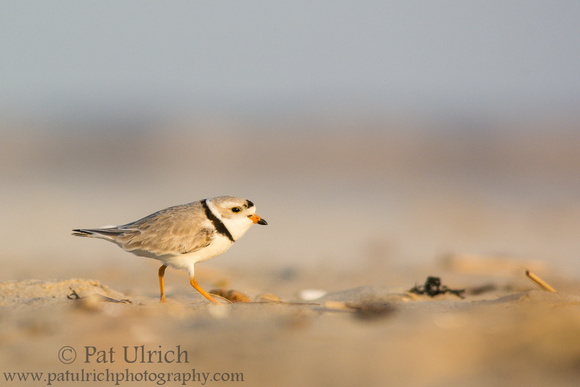 What a special place that relatively small stretch of beach is with all of the breeding birds.